Signed and numbered limited edition print of the painting ''Tuxford Hack''. Size 12'' x 12''. 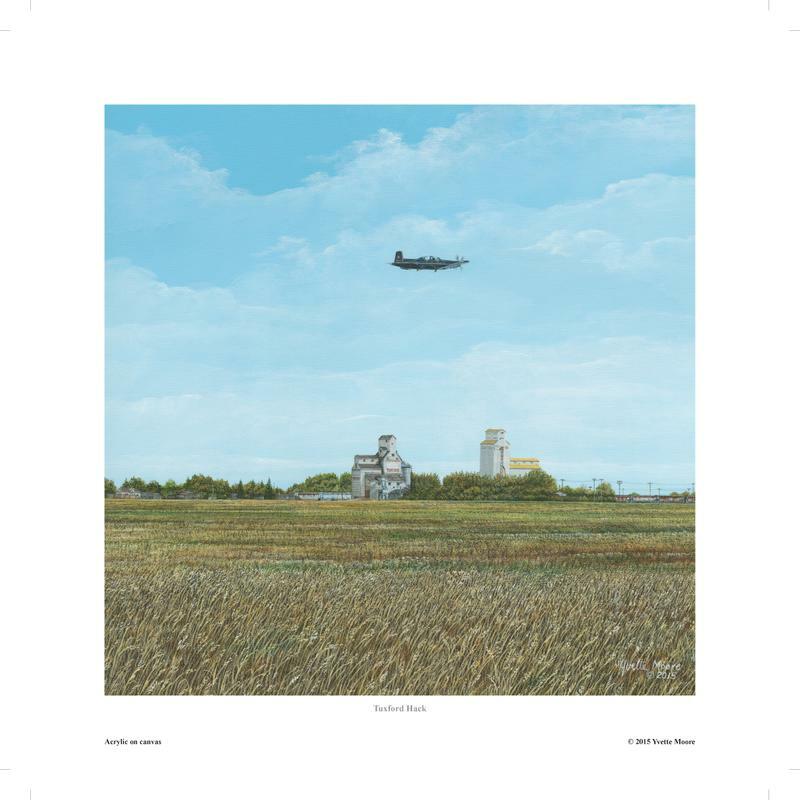 In this gripping image, artist Yvette Moore has captured a pivotal moment in a new Air Force pilot’s career. For Military Aviators the low-level Navigation solo marks the first time a student is granted the responsibility of commanding an aircraft alone on a mission that emulates their future roles as operational Air Force pilots. Since the year 2000, students from ten Allied countries around the world have enjoyed this privilege in the Harvard II aircraft, based at nearby 15 Wing Moose Jaw, home of the NFTC pilot training program.